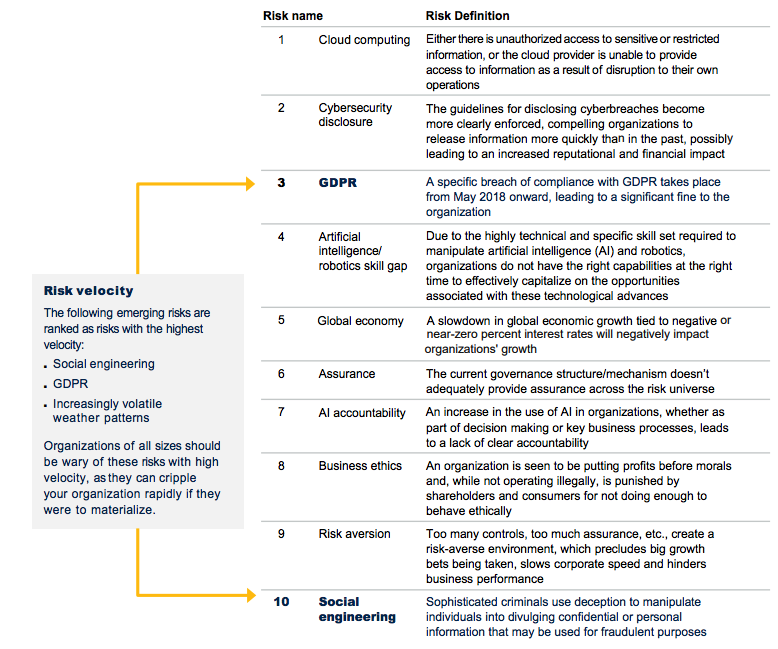 Why is Cloud Computing a Top Risk for Enterprise Executives? According to Gartner’s survey, it seems data breaches in the cloud are the number one concern of enterprise executives. Why do executives feel the risk is so high? The Cultural change. This new self-service access to a broader set of individuals that comes along with cloud computing is what drives the risk. In general, that the speed of change means people haven’t had time to update their skill sets and don’t know what they are doing. These are problems that are minimized in an old-school data center environment, yet old-school data centers don’t provide the flexibility, scalability, agility, rapid innovation, etc. that cloud does. But is cloud computing really any less secure than maintaining your own hardware? The simple answer is that cloud computing is generally more secure if and when managed properly. Risks exist whether IT is managed in-house or virtually. As long as IT departments use a high-security standard at the forefront of their cloud strategy, just as they would for applications, platforms, and infrastructure deployed in-house, then the utilization of shared services in the cloud will successfully yield those major management benefits that old-school data centers don’t.